Which Fridge is Best for Your Kitchen? A good variety of refrigerator styles are available today and it can be very difficult to decide which type of fridge will work best for your kitchen and family. While installation constraints and capacity needs often dictate how large a model you should buy, how that refrigerator is designed (style) also matters. The style of fridge can impede or enhance your kitchen workflow, making for more efficient (or not) meal prep and that easily translates into saving time and energy. For a busy household, this can make a significant difference in your day. Maybe even in how your day starts. So refrigerator style doesn't only relate to shiny finishes, bells, and whistles (how it looks), but how the overall design of this appliance functions in your kitchen. These will help you to consider options and eliminate the styles that are not good choices, to narrow down the best style for your particular needs. Then, you'll be ready to start shopping for a fridge. These are often manual defrost. Confirm the type of cleaning before buying. This style has a freezer compartment, but there's only one refrigerator door, not a split door. Less energy efficient. Every time the door is opened warm air can cause the freezer temperature to rise and energy is needed to cool down again. Start by taking dimensions of the space where the refrigerator will be installed, including the allowable height, if you have overhead cabinets. Allow sufficient width for door swing(s). Though we often like to think in terms of food storage needs (capacity) first, the available space will have the final say on the size of fridge you settle on. So, keep your expectations within your space and budget considerations. Refrigerator models can be counter/cabinet or full depth and that affects space and capacity. 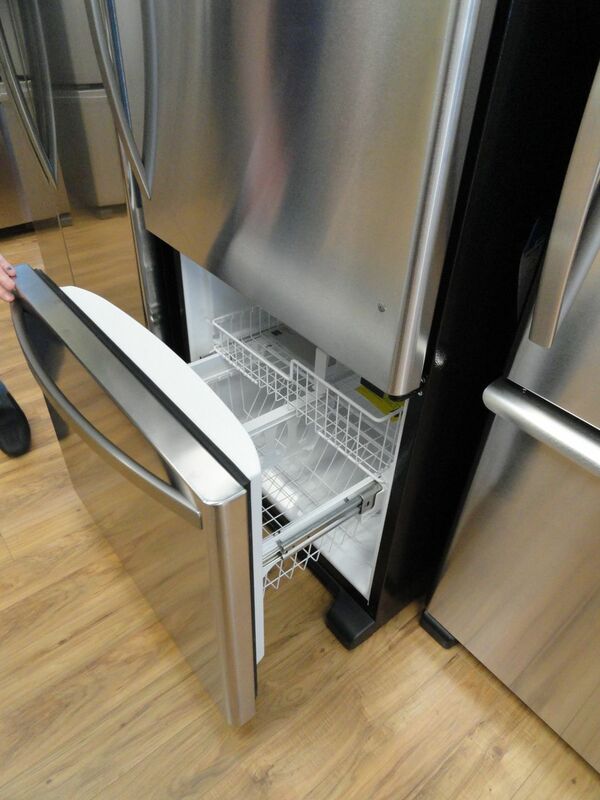 Learn more about ​refrigerator depth options to further narrow down your model choices. If you'd like a model with onboard water and ice, know that this feature will reduce the overall capacity. It will also require a plumbing connection. Next, do you want a freezer compartment and where would you like it to be: on the side (side-by-side), on the bottom (bottom mount) or on the top (top mount). Maybe, you already have a standalone freezer nearby and you'd prefer an all refrigerator model. That will save money, but you'll have less model variety to choose from. Each style of refrigerator has its convenience level. Features, shelving, and humidity controls vary per model and of course, will influence the bottom line. If you've nailed down your choices to a French door model, you can help to keep costs down by getting only food storage features that matter to you. Costs for this popular fridge style can be considerable, so choose wisely.